Maybe your idea of shopping local is not calling the store Tar-SHAY. What would it take to make the big-box store a last resort? 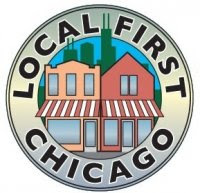 Local First Chicago, a network of independent local businesses, makes its case for thinking and acting local at the Feb. 6 East Village Association membership meeting. Co-founder Suzanne Keers and director Peter Locke will bring their ideas to the Happy Village, 1059 N. Wolcott St. Monday's meeting begins at 7 pm. Keers and Locke view local business as part of a sustainable economy. A Chicago study cited by Local First Chicago suggests that locally owned, independent businesses put 70% more money back into the local community than chain stores per square foot occupied. A 2009 Loyola University Chicago study of the Wal-Mart at 4650 W. North Ave. indicated that the jobs the chain created were offset by business losses that followed in West Humboldt Park. This month Local First Chicago holds a summit of Chicago Neighborhoods First, a coalition of business, labor and neighborhood groups that includes the West Town Chicago Chamber of Commerce. West Town merchants involved with Local First Chicago include Bend Yoga & Movement Studio, Futugarb, Grand Street Gardens, Green Grocer Chicago, Greener Cleaner and North Community Bank. The group has operated citywide for five years, organizing member networking events and the Unwrap Chicago promotion. More than 600 people pledged this winter to redirect at least $100 of holiday spending from chain stores to locally owned merchants. Keers owns the business consultancy Main Street Innovations. The University of Chicago MBA graduate has 30 years of experience as a consultant, manager and analyst in technology and health care. She is a director of the Dill Pickle Food Coop and is on the advisory committee of the Good Food Festival and Conference (the former Family Farmed Expo). Peter Locke is managing director of TerraLocke, which consults on green and sustainability concepts. The East Village resident is facilitator for the Chicago Retrofit Steering Committee, a group that includes the City of Chicago, ComEd, Peoples Gas and Nicor. He also chairs the Foresight Sustainable Business Alliance public policy group and the Edgewater Environmental Sustainability Project's green schools committee. An MBA grad from the University of Rochester, Locke's 20 years as a business analyst spans the software, telecommunication and wholesale food industries.